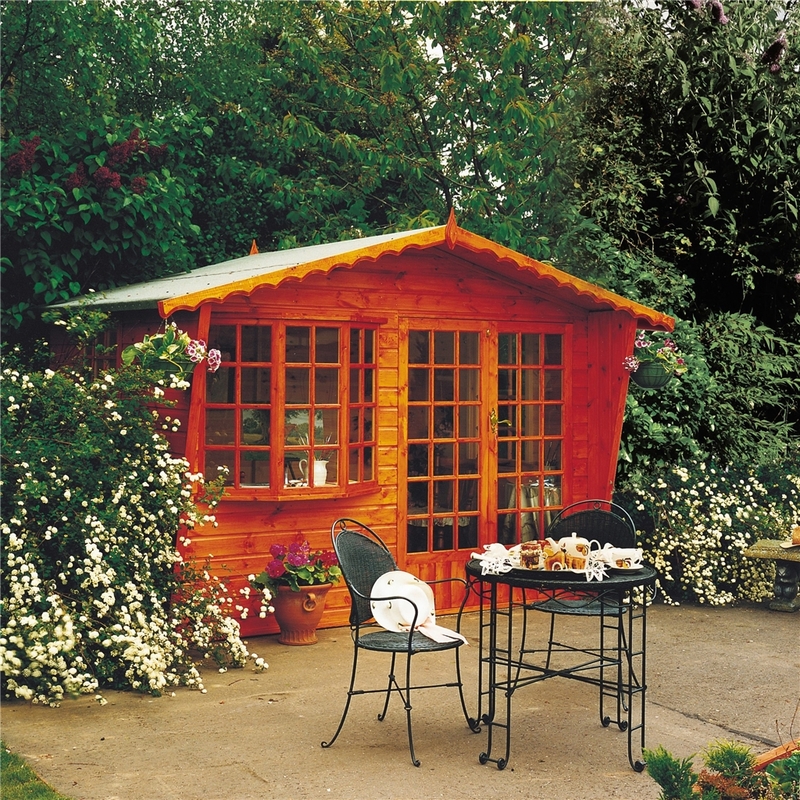 The Tongue & Groove Wooden Summerhouse provides more stability and an aesthetic look. 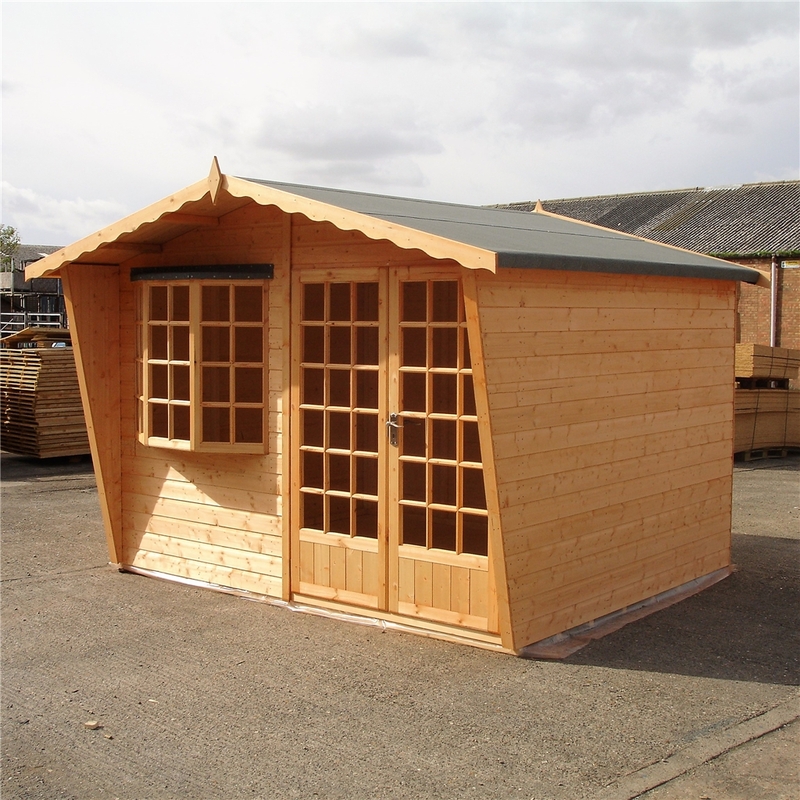 This combined with the Pent Roof style makes it an attractive feature of any garden. 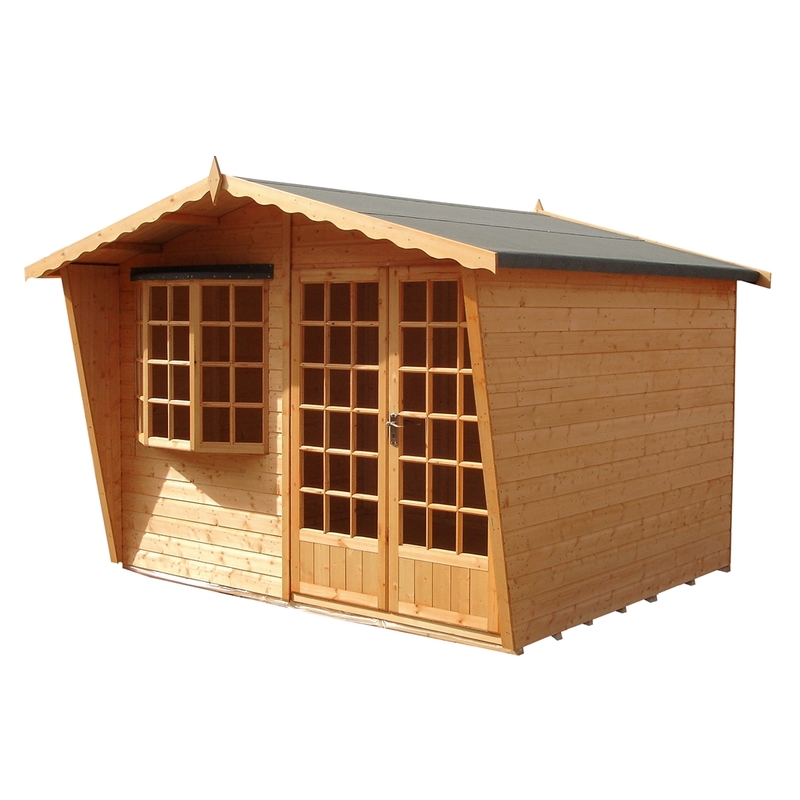 The higher internal roof means you can stand comfortably inside the summerhouse and allows you to store larger items. 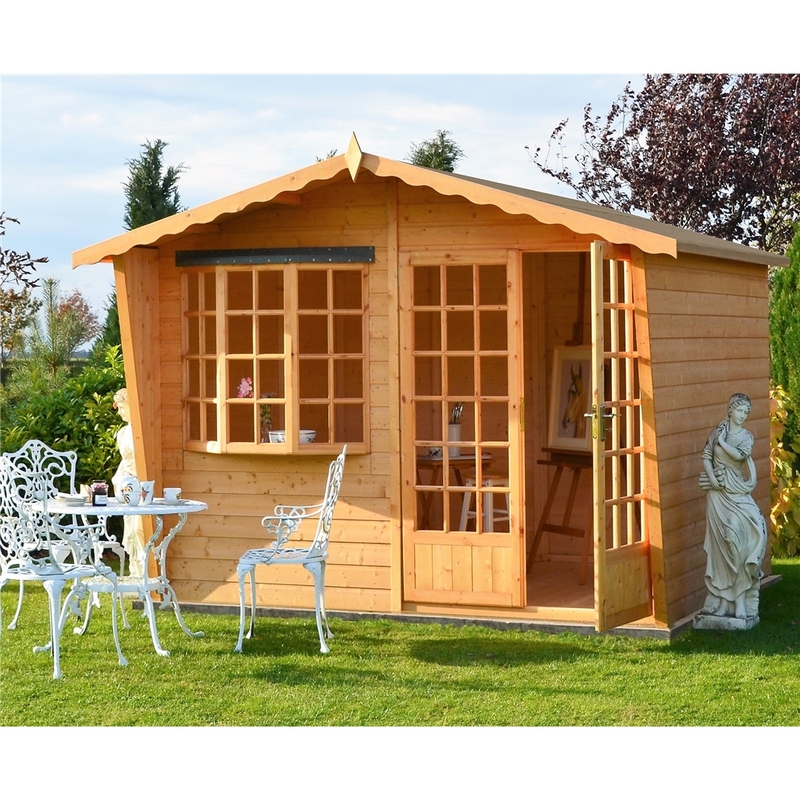 This Traditional English Summerhouse looks great in any garden setting and is a great storage solution at a great price. 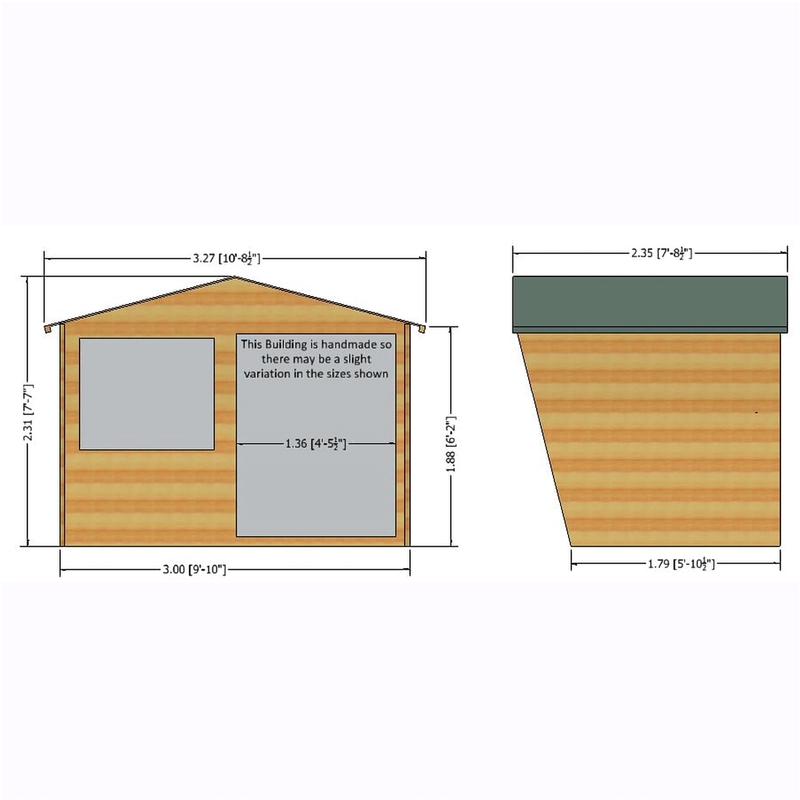 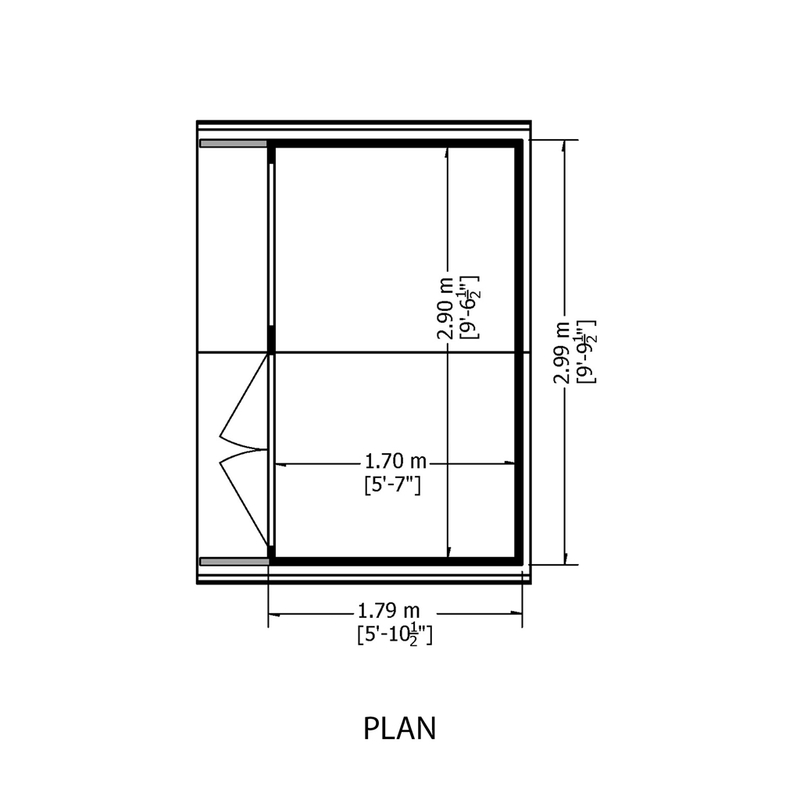 External Depth x Width	: 7'8" x 10'8"
Internal Depth x Width	: 5'10" x 9'10"